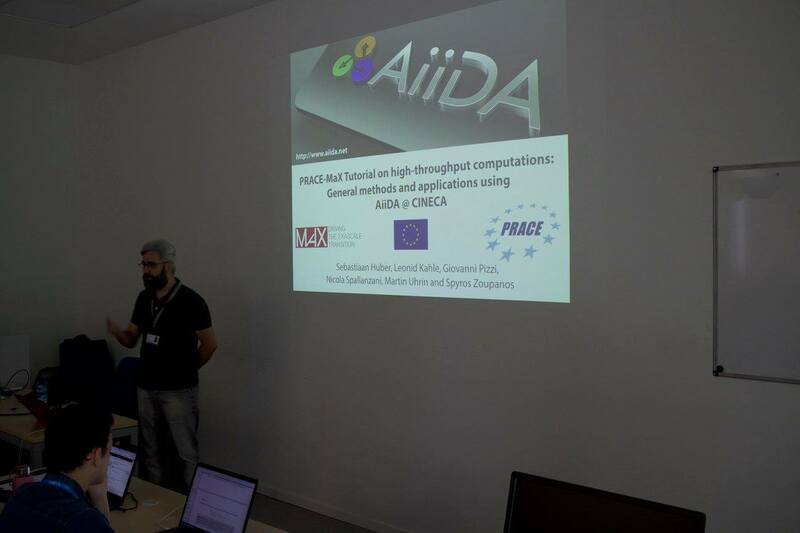 Another AiiDA tutorial, sponsored by PRACE and the H2020 MaX Centre of Excellence, was organized in collaboration with the Italian CINECA supercomputer centre, who hosted the event. 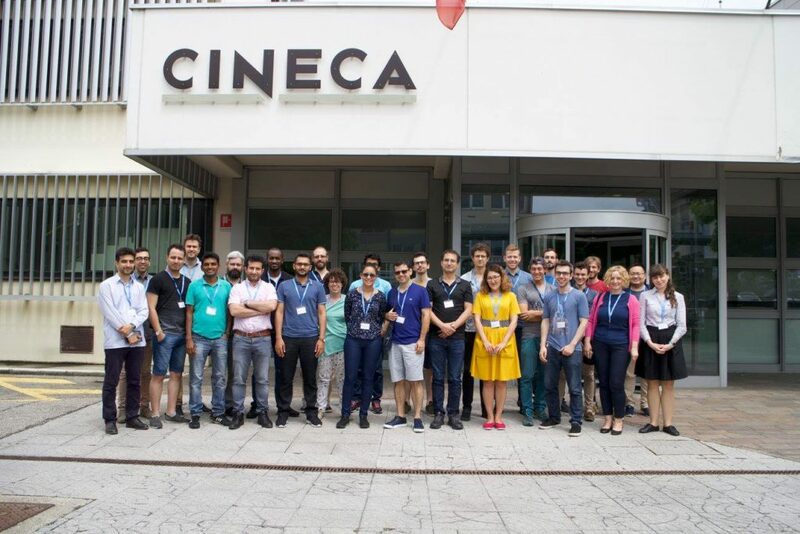 The tutorial took place between May 29 and June 1 2018, at CINECA Bologna (Italy). More than twenty participants, with a strong female representation, joined in this introductory tutorial to the AiiDA framework. On the first day, an introductory talk was delivered by Spyros Zoupanos about the general architecture and design of AiiDA, after which the participants started with the hands-on exercises to get to know with AiiDA’s interface. A more detailed presentation on the workflow system was given by Martin Uhrin. On the second and third day, Giovanni Pizzi and Leonid Kahle gave an exposé on their research projects that actually implemented and used the AiiDA platform to discover new two-dimensional materials and solid state ionic conductors in a high-throughput way, respectively. This gave a good idea to the tutorial participants of the potential of AiiDA in a broader sense. 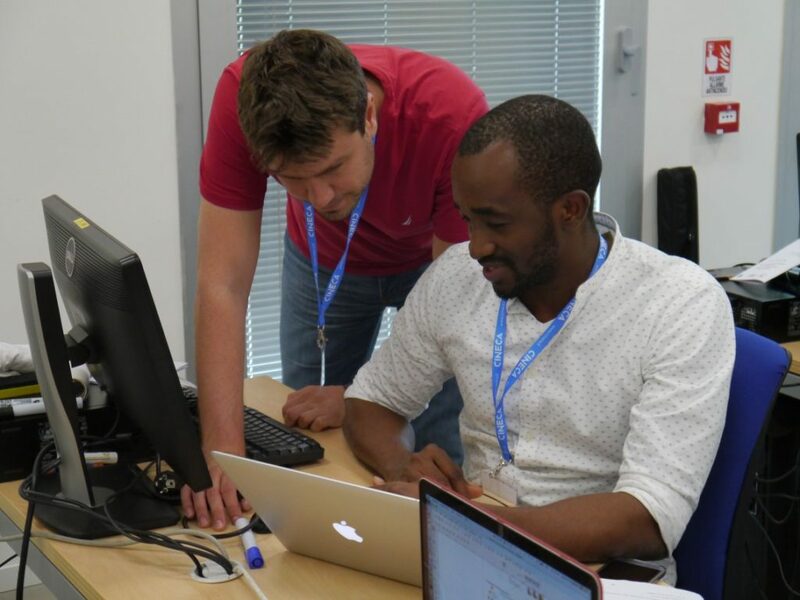 The opportunity was also used to introduce participants to the concept of open source collaboration – in particular, Sebastiaan Huber gave a crash course on the use of Git and GitHub to contribute to open source projects (branches, forks and pull requests). 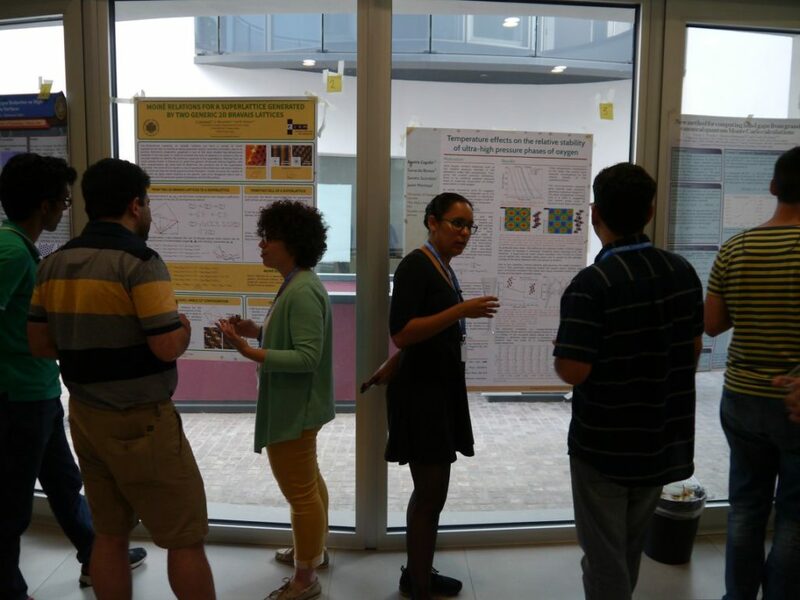 During the tutorial, a poster session was also organized, where the participants had the chance to present their own work and get to know that of their colleagues, in an informal setting with drinks and fingerfood. In between these extra events, the main focus lay on introducing the participants to AiiDA through a hands-on tutorial and exercises, with all the instructors available to provide support and explanation in person. The participants were very committed during the tutorial and already provided comments to improve the tutorial during the event. At the end of the tutorial, all participants were asked to give feedback by completing an evaluation questionnaire, which will be used to further improve the tutorial and AiiDA itself. The feedback was overall very positive, with the tutorial graded with an average vote of 9.0 out of 10, and all votes between 8 and 10. All participants stated that the well-prepared and helpful instructors helped the participants to get really well acquainted with AiiDA and that it may very well help them with their own work and research. The scientific talks that gave examples of AiiDA in real-world scientific projects were also well received as they gave a more intuitive example of the power and potential of AiiDA. We acknowledge support from PRACE and from there H2020 MaX Centre of Excellence.